Coptic bound notebook – Navy blue. Handmade all the way, this notebook is made using an exposed Coptic Binding, an ancient hand binding technique. Coptic binding is unique as it allows every page to lie completely flat when open, with no bumps in the middle. The hardcover is screen-printed with an assortment of blue dots and squares. The earthy inner pages are quality handmade white paper. Perfect for everything from list making to sketching. 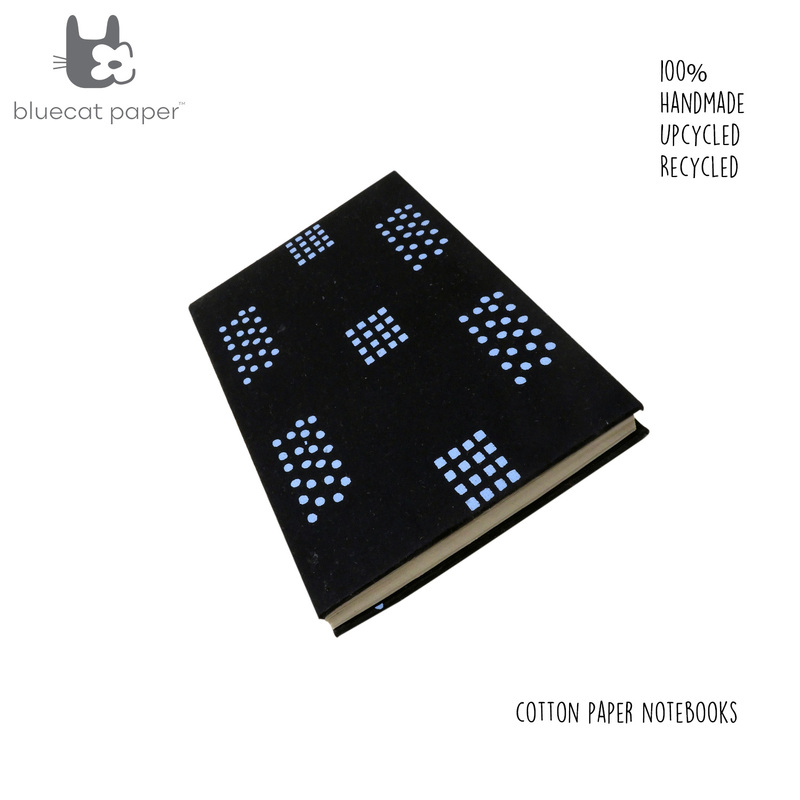 Navy blue with a bright blue square and round dots, White papers. 21 X 15 cm (H X W), 100 pages.